Our formation has been filled with hope and grace from our first visit to L’Arche Blue Ridge Mountains through today. We have a dedicated and talented Board of Directors and Community Life Group, a substantial community of friends, and numerous organizations that offer encouragement and support. We are honored by your support and interest. We have a Board of Directors to make business decisions and to lead us towards our goal to open one or more successful L’Arche homes in the Central Virginia area. Our Board of Directors has completed our bylaws and obtained our Federal Employer Identification Number (EIN). Our Board continues to work toward becoming a tax-exempt nonprofit 501(c)3 organization and entering the next L’Arche stage – Project. Our Community Life Group continues to meet each month to continue to build community, learn, celebrate, and pray. 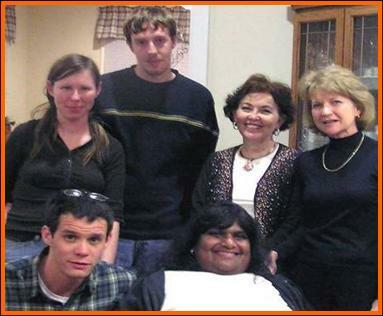 In 2007, Marybeth Meacham &Cheryl Emory visited L'Arche BRM. Searching for options, they visited L’Arche Blue Ridge Mountains and saw persons with and without disabilities sharing life with respect, spirituality, and celebration. 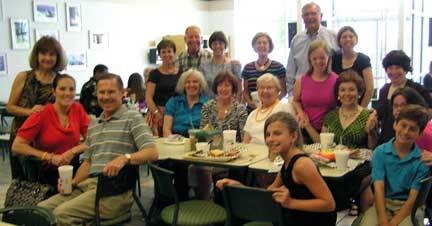 Inspired by hope, they made a commitment to form a L’Arche community in Central Virginia. With help from mentors at L’Arche Blue Ridge Mountains, other L’Arche communities, and L’Arche USA, we are making steady progress. Early in 2009, Sister Anita Maroun, L’Arche USA Eastern Regional Director, invited us to form Friends of L’Arche Central Virginia. This title recognizes that we are forming a L’Arche community and looking forward to creating a L’Arche home. In February 2010, Sister Anita visited for a weekend, providing formation, encouragement, and inspiration. In June 2010, Sister Anita invited us to apply for pre-project status. We completed the application and in May 2011 we were accepted as a L’Arche pre-project. Our Community Life Group meets monthly to steadily build our community, learn, pray, and celebrate. While the Board of Directors is laying the groundwork for the business side of L’Arche, our Community Life Group continues to focus on the spiritual and community side of L’Arche. We have an email list that is approaching 400 individuals and organizations, and we receive support from numerous organizations. We are well into the second of a four-stage process to create a L’Arche community and home. Each stage includes prayer, learning, celebrating, fund raising, and communicating with L’Arche USA and other L’Arche communities. We bear witness to the gifts of persons with disabilities. With God’s grace and approval from L’Arche, we will continue through the remaining stages. Stage 1: Preliminary – We began learning about L’Arche, praying, celebrating, and building our community of friends. Stage 2: Pre-Project – Our current stage. In May 2011, L’Arche USA reviewed and approved our application for pre-project status. At that time, they invited us to become “Friends of L’Arche” and to begin the journey to incorporate as a non-profit organization. Stage 4: L’Arche Home – We will raise or receive funding for a home, buy or lease a home, obtain licensing, identify core members, assistants, and others to support the home, and move in..
L’Arche is conservative about how many projects exist at once, since they want to provide sufficient mentoring. More significantly, L’Arche promises lifetime support for core members and they must make sure that the board or planning group and Friends of L’Arche community will provide enduring support. Forming a strong and sustaining community takes much work and time. The resulting community will be an invaluable asset for our L’Arche home. We are making steady progress through the stages with the help of our mentors at L’Arche Blue Ridge Mountains, L’Arche Greater Washington DC, and L’Arche Eastern Region. We look forward to being approved as a 501(c)3 nonprofit organization from the IRS in the near future. In the meantime, St. Michael Catholic Church maintains an account for us so donors can give tax-deductible contributions. Our Community Life Group meets monthly and we enjoy meetings, charitable activities, luncheons, worship events, and celebrations. Sister Anita Maroun, others from L’Arche USA, and our mentors at L’Arche Blue Ridge Mountains and L’Arche Washington DC are supportive and encouraging. Several churches and organizations are providing strong support. We are thankful to all. 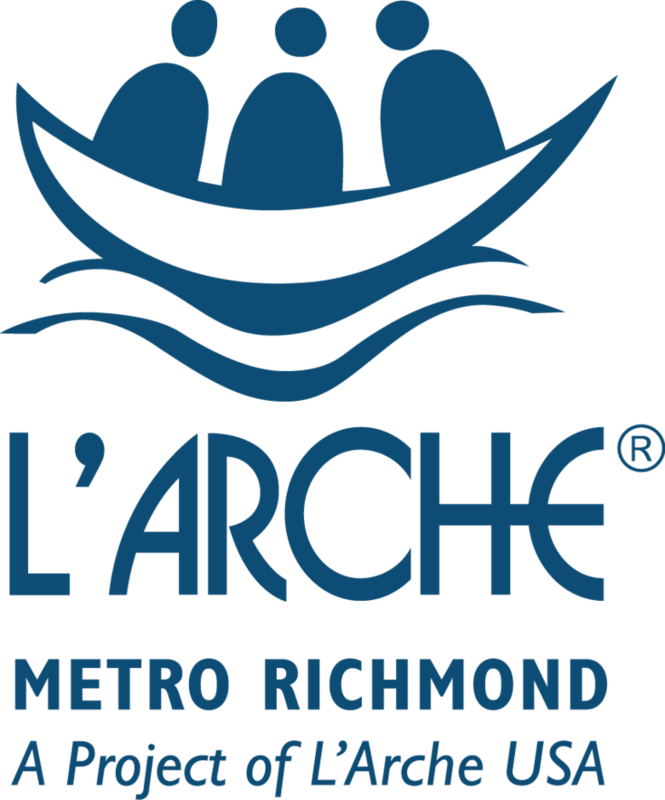 We look forward with confidence to our continued progress and to the time when we have one or more L’Arche homes. In response to Sister Anita’s challenge, we are working to increase the religious, racial, ethnic and age diversity of Friends of L’Arche Central Virginia at all levels, especially our Board and Community Life Committee, as well as our general membership. It is our goal to have persons with disabilities represented at all levels of Friends of L’Arche Central Virginia leadership, as well as in the broader community. Prayer is an integral part of every gathering. We look forward to sharing prayer and worship in more ways and welcoming friends of all faiths. We are learning about L’Arche and the communities worldwide so we can mirror their successes and learn from their lessons. We also spend time studying the Mission, Vision, and Charter of L’Arche and learning from books and other media by and about Jean Vanier, Henri Nouwen, and others. With the help of our mentors at L’Arche Blue Ridge Mountains and L’Arche Greater Washington DC, we are learning the rich history and gifts of L’Arche. Our eventual L’Arche home will require substantial funding. In addition, our current and future celebrations and communications are not without costs. Therefore, we are planning some formal fundraising events. St. Michael Catholic Church maintains an account for Friends of L’Arche Central Virginia so donors can give tax-deductible contributions. We invite our larger community to join us for luncheons on the second Sunday of each month in Henrico County’s West End. We also have special celebrations such as our annual Epiphany Party, a picnic, book clubs, and community dinners. We invite you to join our email list to receive invitations to our celebrations and events.